Most of the playoff series in the West were run of the mill, including this one. This series gets the nod because of the moments it provided. 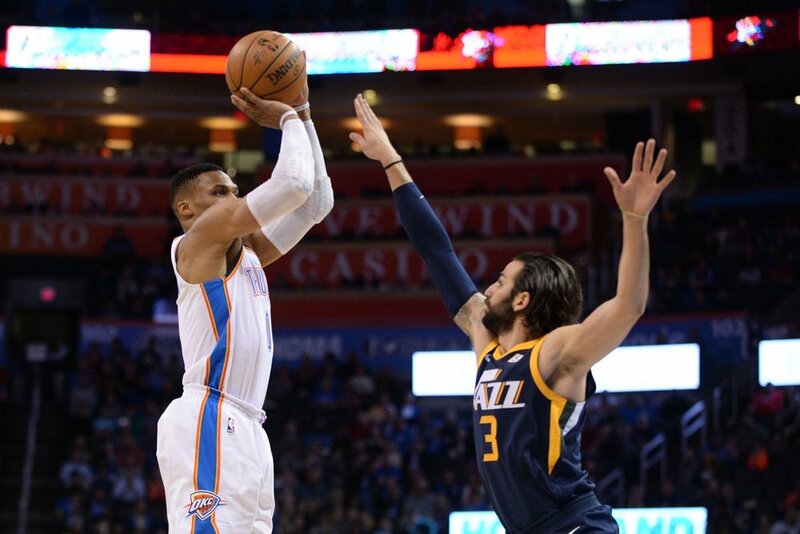 Utah won in six but not before we got a new nickname for Paul George (Playoff P is terrible by the way) and Ricky Rubio getting a monster triple double which in turn led to Russell Westbrook boldly declaring he would shut that s—t down. Russ and PG led a furious comeback in Game 5 that was very impressive. But this was truly all about Donovan Mitchell’s performance. The playoffs can be overwhelming for most rookies but Mitchell looked right at home, leading the Jazz in scoring and getting “OK3” out the playoffs relatively easy. Ignore what you saw Saturday night (the Golden State Warriors are a different breed). The New Orleans Pelicans were the only team to sweep their first round opponent. However, I don’t’ think anyone really expected the Pelicans to quickly and thoroughly destroy the Blazers but they did. It was a systematic beat down; there was never a point in the series where the Blazers looked like a threat. You have to ask yourself what this team would like if Demarcus Cousins didn’t go down with injury earlier this year. This was awfully close to being the Portland Trailblazers spot but all things considered, the Blazers outperformed their expectations this year. I never thought the Blazers would get the 3-seed this year. However, the Oklahoma City Thunder were supposed to be title contenders, a legitimate threat to the Golden State Warriors. What we got was a team that was grossly inconsistent and never felt like more than a team with three scorers expected to gel together. They put up a decent fight but that wasn’t supposed to be their fate this season and for that they have to get this dubious award. Jrue Holiday was really able to remind everyone what he’s capable of when he’s not injured. Not only did he score the ball well, he completely took Damian Lillard, who is arguably one of the best scorers in the league, out of the series. Meanwhile, Anthony Davis proved why he’s one of the best players in the WORLD. He put on a clinic finishing off the series by dropping 47 points. He couldn’t be stopped and if they can continue this success through next season (they aren’t winning this series…come on), Anthony Davis just might finally win that MVP I said he would have by now. Initially, I had Damian Lillard here in a tie with Carmelo because he really looked like he was having the worst time playing the Pelicans. But Carmelo Anthony has annoyed me beyond belief this season and this series was no different. He played terribly offensively, which is his calling card. He made himself a brand new home with all the bricks he shot in the series. Defensively, he was as bad as ever. Carmelo provided no positive impact on the court. What really solidified his place here was his recent comments scoffing at the idea that he should come off the bench and implying that it was the Thunder’s fault for not having a strategy for him. Send Carmelo to the Hawks so he can averaged 20 points on 38% shooting while winning 28 games so he can be happy…because I’m over him.